The small coastal town of Puerto Chicama, in northwestern Peru, is home to the longest, the most perfect, left-breaking wave in the world. Here, the wave stretches for about 2.2 km from the point —an isolated rocky outcrop where the wave breaks— to a long pier on the barren coast, where the wave ends. Locals confirm that the entire distance has been ridden on a single wave. The whole cape upon which the waves break, to their most westernmost end, is actually 4 km long, although no one has ever ridden it for that distance. The surfing potential of Chicama was first discovered in 1965 by Hawaiian surfer Chuck Shipman. Legend has it that Shipman was peering out of the window of plane when he noticed an impossibly long left-breaking wave (waves are either left or right, depending on which direction the wave breaks from the point of view of the surfer riding the wave). He asked the pilot about the place, and once he got to Hawaii, Shipman consulted a large detailed map of Peru, and identified a couple of promising headlands. Shipman then wrote to his friends in Peru and urged them to explore the northwestern coast. The first attempt failed to find the unmarked dirt road to Chicama, but later, another group of surfers found the way to the promising surf spot. Since then Chicama has also a popular surf destination. 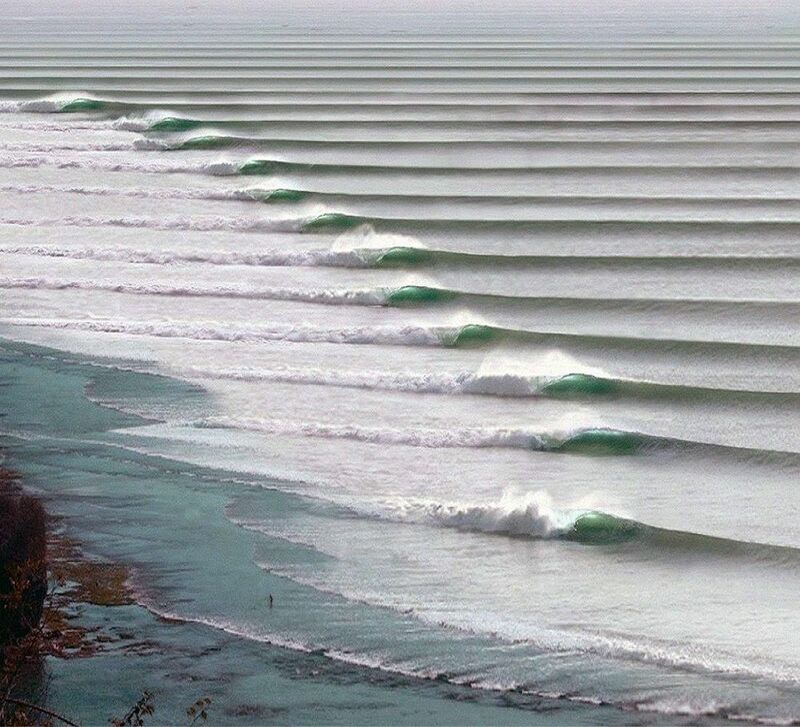 The wave at Chicama is divided into multiple sections. The very outside point is called “Malpaso”, which breaks for about 150 meters. The next point toward town is called “Keys”, which breaks for another 600 meters before hitting deep water. Then comes “the Point” which is about a kilometer long and considered the best part of the wave. Finally, there is “El Hombre”. The waves usually doesn’t connect, but when the swell is over six feet high, which is quite rare, one can ride all the way to the pier on a single wave. The ride can last ride for three to five minutes —an eternity for a surfer. Early this year, the legendary wave at Chicama became the world’s first nationally protected surf break, when the Peruvian government passed a law forbidding any construction within a kilometer of the shoreline that could potentially affect the way the wave breaks along the coast line. The government also plans to protect five other waves. Eventually the country hopes to have 130 protected waves.